Molnlycke Melgisorb Plus® Absorbent Alginate Dressing is a highly absorbent dressing for a wide range of moderately to heavily exuding wounds. It absorbs large amounts of wound exudate. When absorbing, the alginate fibers become gel-like providing a moist environment conducive to wound healing. The dressing can easily be removed by irrigating with 0.9% normal saline. 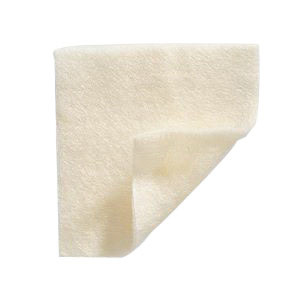 Soft sterile dressing made of Calcium Sodium alginate fibers. Excellent absorption for high exuding wounds. High wet strength to allow removal in one piece. High retention to limit maceration. Does not adhere to the wound site when gelled. Dressing becomes gel-like on contact with exudate or solutions containing Sodium ions (saline).